What if there’s a mortgage on the house? Is it a joint or single mortgage? What if you want to remove your spouse’s name from the mortgage? 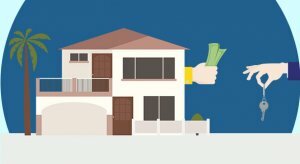 What if you’re responsible for the mortgage, but don’t want the proceeds of the house to go to your spouse? An experienced cash home buyer can offer suggestions to help you settle mortgage issues before the divorce. For example, most people look at their mortgage statement and simply check their balance to calculate the payoff. But a good buyer relies on a market analysis to determine the actual debt and determine the payoff. Of course, you could hire a real estate agent to manage the sale for you. But what if couples do not agree on which agent to hire? How do you agree on the different aspects related to a regular sale? A real estate investor can help resolve these issues. The cash home buying process is simple and straightforward. You don’t have to worry about repairs or repainting. We buy houses as they are. You don’t have to worry about after-sale cleaning because we’ll do it for you. If you or anyone you know needs to sell your house quickly, contact the experts at 412 Houses to help you consider your options. We buy houses in Pittsburgh that are facing legal issues. Call 412-346-0523 and share your property details with us. We can send you a fair cash offer with 24 hours. If you’re happy with our deal, we can pay cash for your property within two weeks.